Two new posts on dog training and pet behavior problems over at my Psychology Today blog Fellow Creatures. 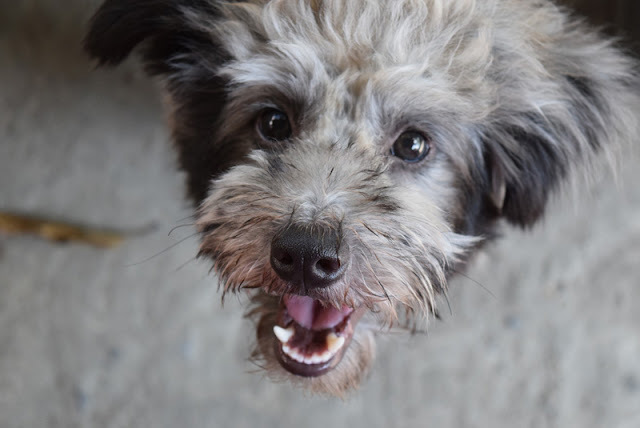 The first, Does owner personality affect dog training methods?, looks at intriguing findings from a recent study of personality, punishment in dog training, and dog behavior. Meanwhile, Pet behaviour problems: In the eye of the beholder? looks at the factors that influence whether we consider a pet's behaviour issue to be a problem. Have a great weekend. And Happy Canada Day! 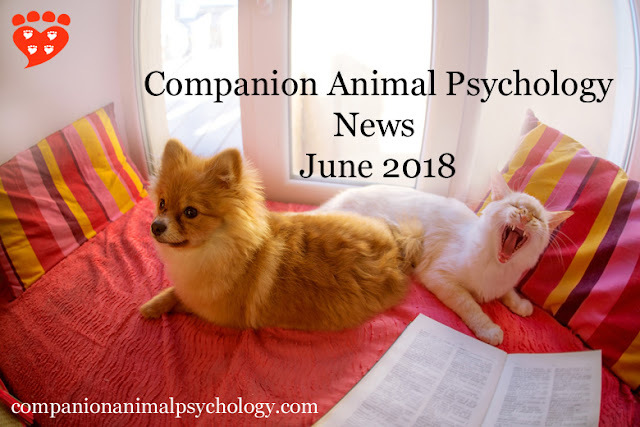 Make sure you haven't missed a thing with the latest round-up about dogs and cats from Companion Animal Psychology. The Train for Rewards Blog Party is now live with posts from many talented bloggers exploring the topic of reward-based training. Then share your favourite posts on social media. And share a photo of your pet on social media with the hashtag #TrainforRewards. 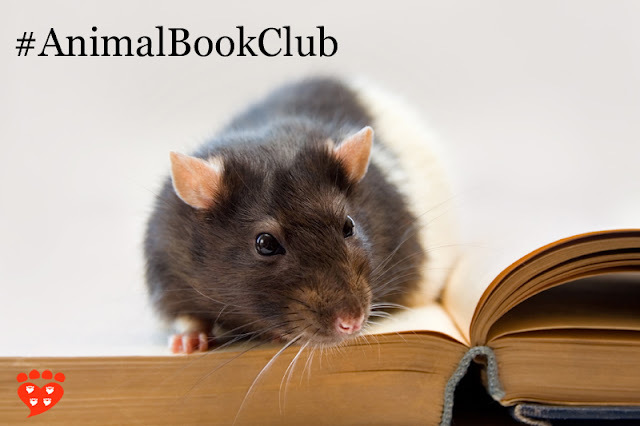 The blog party is hosted by Companion Animal Psychology. Thank you to everyone who is taking part, whether by blogging or sharing your pet's photo on social media. Do you use rewards to train your dog or cat (or other pet)? Show you support reward-based training by posting a photo of your pet below. By popular request, this post is part of the #Train4Rewards blog party hosted here at Companion Animal Psychology. Add your pet’s photo, then share on social media with the hashtag #Train4Rewards. The photo link-up is open until 8am Pacific time on Saturday 16th June, when the full list of Train for Rewards posts is available. Click the link and follow the instructions. You will have up to 50 characters for your pet’s name. If you make a mistake, you can delete the entry and start again. Entries are moderated so at certain times of day there may be a delay before your pet’s photo appears. What are the best treats to use when training your dog? From the right size and nutritional composition to what dogs love best, this is a user-friendly guide to the best dog training treats. Whether you’re new to training or a seasoned pro, using the right treats is an important part of dog training because you have to be able to motivate your dog. Food is a commonly-used reward in dog training for a reason – it works. 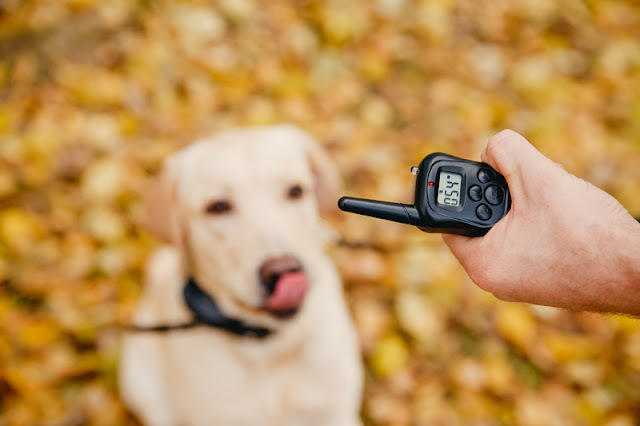 We often use food in operant conditioning, when we’re training a dog to do a behaviour. This is positive reinforcement (for more on why food makes a great reward, see the ultimate dog training tip). The best training treat in one situation is not always right for another dog in another training scenario. 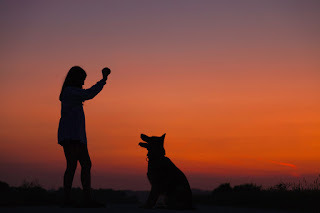 This article looks at what to consider and then lists my favourite dog training treats. There are several things to think about when choosing treats to use in training. 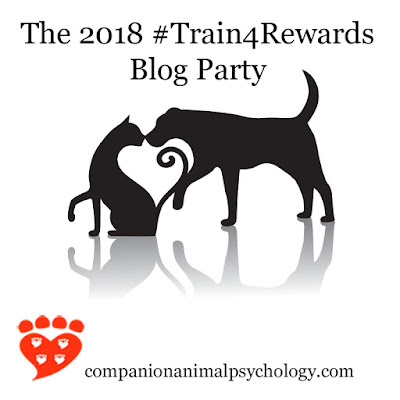 The 2018 Train for Rewards blog party celebrates reward-based training of dogs, cats, and other pets. Join in the fun, find new bloggers to read, and share a photo of your pet on social media with the hashtag #Train4Rewards. The blog party celebrates what we can do with reward-based dog training, encourages people to use rewards in training their pets, and inspires people to improve their technical skills and understanding of how reward-based animal training works. Take Part in Train for RewardsRead the blog posts, comment on them, and share your favourite posts with the hashtag #Train4RewardsShare a photo of your pet dog, cat, rabbit, ferret, horse, etc... on social media with the hashtag #Train4RewardsAfterwards, reward yourself for participating with a piece of cake, some chocolate, a glass of wine, a walk on the beach, or whatever makes you happy. See the invitation and rules. 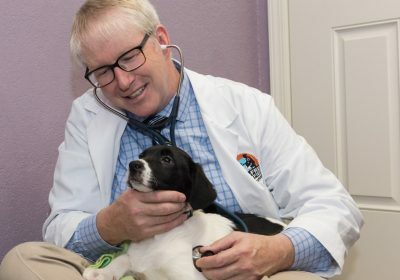 An interview with Dr. Marty Becker about the Fear Free movement, Fear Free Happy Homes, and his new book, From Fearful to Fear Free: A Positive Program to Free Your Dog from Anxiety, Fears, and Phobias, co-authored by Dr. Lisa Radosta, Dr. Wailani Sung, Mikkel Becker, and edited by Kim Campbell Thornton.